On Thursday, January 31st, 2019, Deputy Crum of the Calvert County Sheriff’s Office was dispatched to the Wawa in Dunkirk for the report of a theft in progress. The complainant advised they witnessed the suspect, Maggie Jean Williams, 34, of Lothian, shove items in her clothing and retreat to the women’s restroom. Deputy Crum arrived on location and advised Williams she needed to exit the restroom, at which point she did. The complainant then entered the restroom and located several items that Williams attempted to steal but disposed of in another stall. Williams emptied her pockets which revealed glass tubed shaped containers which contained suspected cocaine. Deputy Crum then escorted Williams outside of Wawa and made contact with the passenger of the vehicle she arrived in. 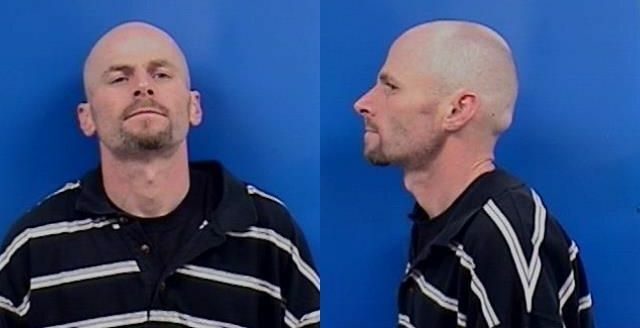 Jason Eric Dobson, 42, of Waldorf, was seen disposing items out of the car window. Deputy Crum heard a solid item hit the pavement next to the vehicle and recovered a metal pipe with burn marks on the end. 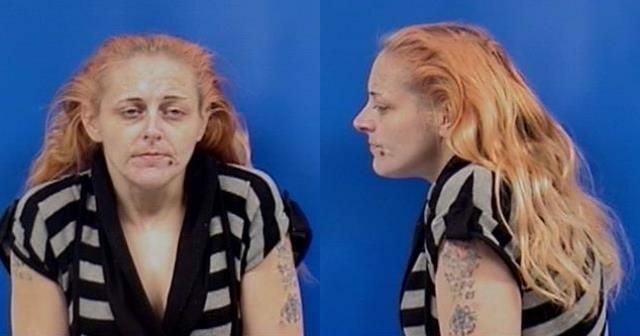 Dobson was subsequently arrested for CDS: Possession of Paraphernalia and transported to the Calvert County Detention Center. A search of Williams’ person revealed a total of 12 clear glass tubes with suspected cocaine residue and one clear plastic pill capsule with suspected cocaine residue. Williams was arrested and charged with CDS: Possession of Paraphernalia then transported to the Calvert County Detention Center. This entry was posted on February 7, 2019 at 9:03 am and is filed under All News, Calvert News, Charles News, County, Law Enforcement, Top News, z 600X120 Top Ad Bottom, z Police Ad Top. You can follow any responses to this entry through the RSS 2.0 feed. They won’t even need to change into county issued clothing! Awesome! Thanks for saving us taxpayers a few bucks! Dammit! That was going to be my line. LOL! That is 34? She is aging like milk! Two warts on the A** of society. This vermin needs to be sent away. Holy Hell Maggie…. drugs are bad. I”m sorry.. That’s a rough looking 34. Didn’t they get arrested back in November? When she’s not in jail, she’s out workign them street corners. Who in the world wants or pays for that?! She does curbing and concrete work? Sweet! We are hiring for our crews. 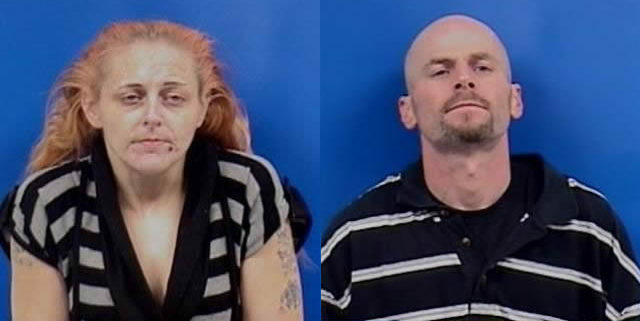 The couple that does drugs together, goes to jail together, and dresses together, stays together. Is that Blanka from Street Fighter?! This is what you get when you say Beetlejuice three times. If only they would have decided to get jobs, learn a skill, and work their way up in a company when they were younger they wouldn’t have to be POS thieves today. Oh well, I guess partying until you become an addict, relying on others to support you and your addiction, then stealing from others when you burn all your bridges is the path they chose. Look kids, you too could have this glamorous life. Dont forget, anybody who refuses to bail them out and support them for their lifetime of poor decisions is a terrible person. Stealing things from the store to sell for crack money. The cycle never ends. Looks like they derssed for the jail cell. There just isnt even any words for that mugshot. She looks like something that would be on a horror film. Please get yourself some help…SAY NO TO DRUGS! See kids, if you use drugs in moderation, they are perfectly fine. Just look at these two winners. Smart enough to ditch the merchandise she stole but not willing to ditch the crack? Lol you deserve jail.